Product idea created by Stampin' Up! *Special promotional product—only available Feb 1 – April 30, 2013! **Get the Send with Love Stamp Set, Sent with Love Designer Series Paper, and Calypso Coral Baker’s Twine in a special bundle at 20 percent off — Feb 1 – April 30, 2013! My post today was taken directly from the Ideas section of my online store. It was not created by me, but by Stampin' Up!. I wanted to showcase it today, because this promotion runs for a limited time and ends April 30th. 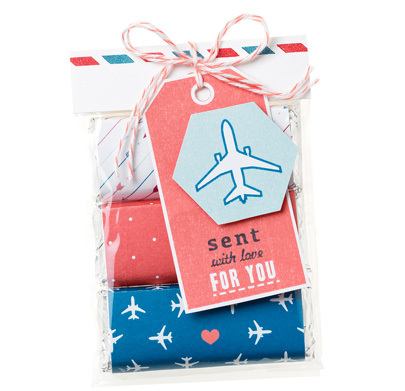 You can purchase the Sent with Love Stamp Set, and Sent with Love Designer Series Paper separately, or put them together in a bundle with Calypso Coral Baker's Twine for a savings of 20%. To see this, and more product ideas, you know you can check my creations here on my blog, but don't forget about some other wonderful product ideas from Stampin' Up which are listed on my online store - www.eileenlang.stampinup.net/ , or just click the link in the left hand column of my blog.